This is a fun-filled 45 minutes you attend with your tiny tumbler. 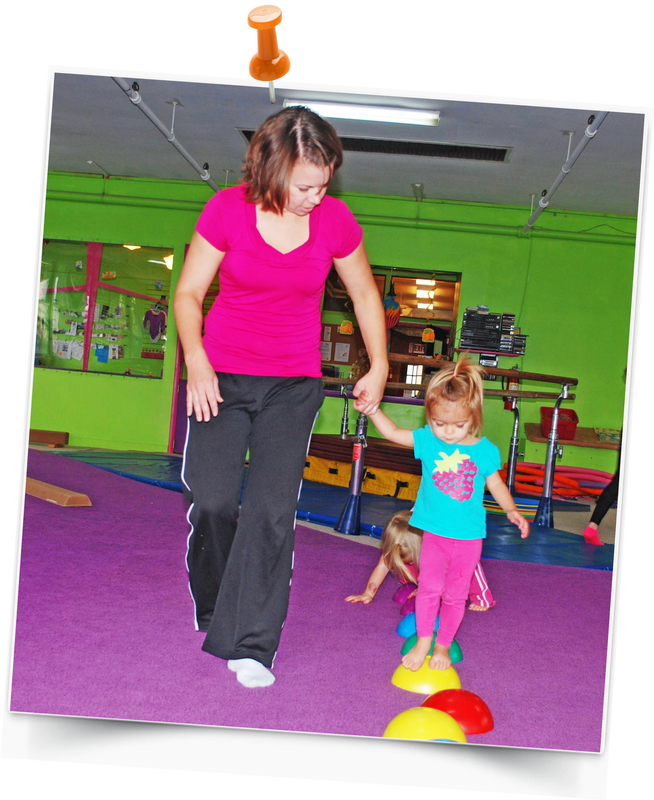 These classes are a fun way for mom or dad (or grandma/grandpa) to spend 45 minutes exploring their budding gymnast’s developing motor skills. We keep these classes very loosely structured. After a brief circle time to catch up on the weeks news and maybe sing a couple of preschool hits we take off around the gym. We set up about a dozen or more stations to give you lots of variety. Each station has a corresponding tips and ideas sheet on the wall nearby. You will find swinging stations, strength stations, balance stations, hand/eye coordination stations and many more. We will follow the same lesson plan for a couple of weeks to give the kids a little familiarity and then switch stations around and come up with a bunch of new challenges. At the end of the class we always pull out the big parachute and finish with everyone coming together again.